Karen and I visited this bridge on our honeymoon to Bermuda in October. 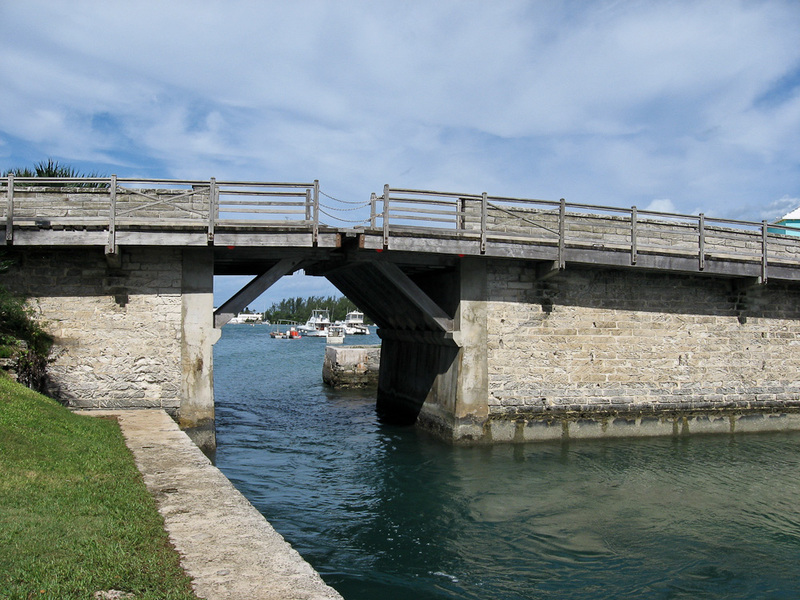 This is the Somerset Bridge, and it’s generally believed to be the smallest drawbridge in the world. (Although this bridge in Yarmouth, Nova Scotia, seems to also claim that distinction.) The Somerset Bridge is opened by removing the plank that covers an 18-inch gap between the two halves of the bridge. Supposedly a sailboat’s mast can then pass through the bridge. Unfortunately, the bridge was not opened while we were there, so we did not get to see it in action.